HTC can commission newly installed or modified fire hydrant systems. Our pump truck can commission booster systems up to 40L/s. We are RPEQ qualified and able to provide a Form 71. Getting hydraulic data early in the design phase will help reduce complications during the QFES inspection. HTC will visit your site and physically measure water mains flow and pressure. Accurate data will allow you to confidently design wet fire solutions that meet code. 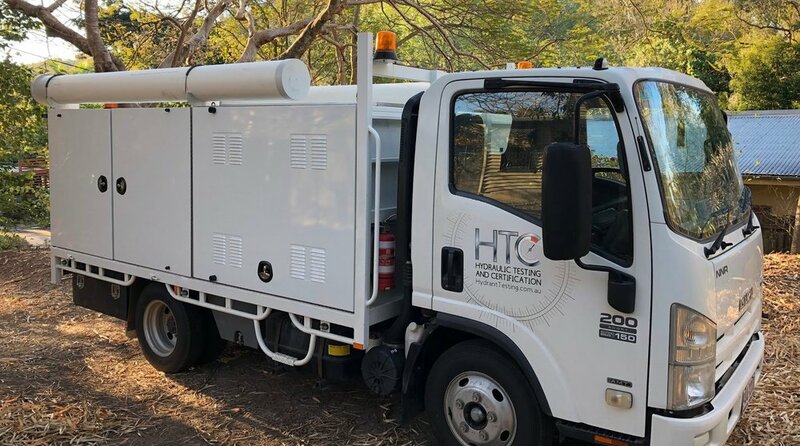 HTC is able to provide hydrostatic testing for commissioning of fire hydrant systems or leak detection on domestic or industrial water supply pipes. Unobtrusive flow measurements can be made using HTC’s ultrasonic flow meters. Ideal for measuring tank infill rates, leak detection and flow monitoring. HTC is able to provide pressure monitoring using a single or multiple pressure loggers. Monitoring can take place over short or long term periods on any water system they can attach to. Pressure loggers may also be used in conjunction with a single or multiple flow test. Our advice and experience is also beneficial when troubleshooting a non-compliant fire hydrant system. We can help identify problems and recommend solutions.